The Suburban clearly warrants a king-size designation. Chevrolet has used the Suburban name for a utility wagon since 1935. Our Suburban is a super-size SUV four-wheel drive in the beautiful Z71 trim, built on the full-size Silverado pickup truck platform. This one is powered by a 285-horsepower, 5.3-liter V-8, four-wheel drive, which teams with a four-speed-automatic transmission. Our 2004 Z71 gains extra equipment that includes leather seats, sunroof, DVD, multifunction steering wheel, passenger climate control and more! 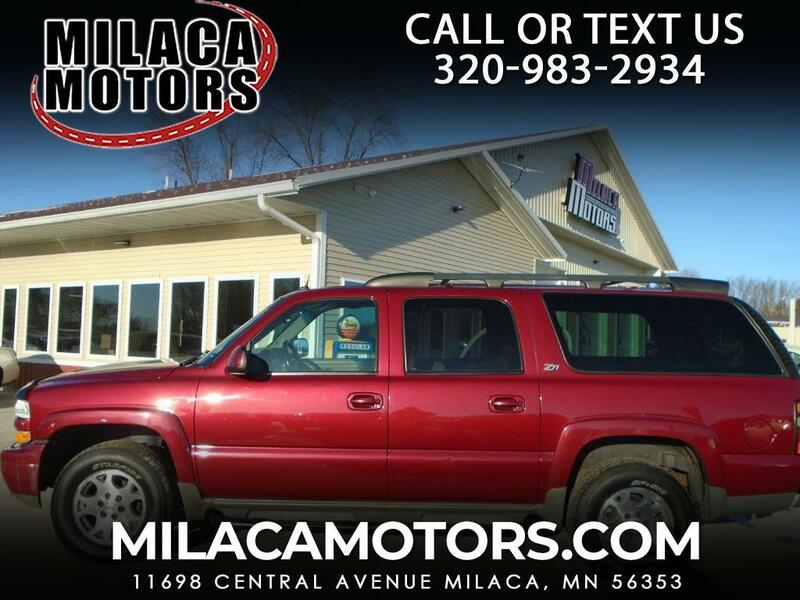 Once youre behind the wheel, this Suburban handles with reasonable ease. Acceleration is sufficiently swift, both from a standstill and for passing. With antilock brakes and side-impact airbags this Suburban is as safe as it is sensible for large families on the go. We urge you to take a look at our pictures, everything you want and expect is simply here, so- Print this page and call us Now... We Know You Will Enjoy Your Test Drive Towards Ownership! Message: Thought you might be interested in this 2004 Chevrolet Suburban.